HUNTINGTON, W.Va.—The staff and board of OVEC, the Ohio Valley Environmental Coalition, are grieved to announce the death of Dianne Bady, who founded the environmental and social justice organization in 1987. Dianne, 67, succumbed to cancer on October 23, 2017 at Emogene Dolin Jones Hospice House in Huntington, W.Va. Her husband Rick, her son Aaron, her sister Monica McFarland, and OVEC staff members were with her in her final hours. Dianne spent the past few years educating herself, OVEC members, and the public about the human health and environmental impacts of fracking and its related activities and infrastructure. She was especially concerned that the gas industry touted concept of the “Appalachian Storage Hub” and the development of Rogersville Shale could lock our region into more pollution and more health problems, while locking out the potential for a cleaner, healthier, and more just energy economy. Under Dianne’s leadership, OVEC’s tenacious work to end mountaintop removal coal mining gained national and international recognition, with numerous awards being granted to the organization and staff, including the prestigious Ford Foundation Leadership for a Changing World Award. In 1987, BASF Corporation planned to burn or bury all of the toxic waste it generated in North America in a low-income community near Huntington. Dianne and a handful of people organized to oppose and successfully ward off that scheme. Their efforts launched OVEC. Until then, polluting industries in the lower Ohio River Valley had not been seriously challenged by citizens to follow environmental laws and regulations. Dianne was adamant that the voices of ordinary people in affected communities be heard. In the 30 years since then, OVEC has celebrated victories both large and small, and, of course, has also encountered setbacks. 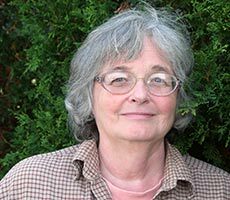 In one important victory, the group staved off construction of a mega dioxin-spewing pulp mill slated for Apple Grove, in Mason County, W.Va.
“Dianne carried a vision of a healthier environment, but beyond that, she had great compassion and love for people and an abhorrence for injustice. 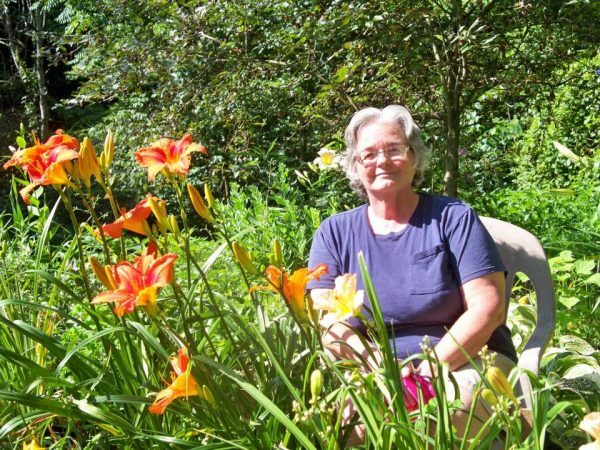 She was stricken to her core by the destruction wrought by fossil fuel corporations, and she sought healing and solace in her gardens and in the beauty of the nature,” says Janet Keating, who worked closely with Dianne for 24 years at OVEC. A celebration of Dianne’s life was held at 2 p.m. Sunday, October 29 at St. Cloud Commons, 1701 Jackson Ave, Huntington, WV, 25704. People are invited to post their condolences and remembrances here, in the comments section of this page. Photo above by Janet Keating. My condolences to the family and friends of Dianne. She had that twinkle in her eyes that you rarely see. A loss of a true warrior for West Virginia. I am so sorry for such a loss, for all her family, friends, colleagues and anyone who loved or needed a humanitarian extraordinaire. Diane’s kindness and strength will live on through her remarkable sharing, in all who had the privilege to know and work with her. All my love and condolences to Dianne’s family and friends. She will remain one of the heroes of my life. The way she lived her life was a model for me and a great contribution to the community she loved. In my heart I’m seeing her in heaven with Laura Forman, Winnie Fox, Larry Gibson, Judy Bonds, and all those who fought the good fight with her. They’re having a party and their reunion is divine. What a wonderful legacy Dianne left the Tri-State area and beyond! We were all fortunate that she lived in our community and spent her time and talents working for a safer environment for all of us.Thank you, Dianne. Dear dianne family…..a heart breaking loss for you all and for appalachia….. she was a fighter for justice..passionate, compassionate,gracefilled, a loving visionary…..she fought for us all…until the very end. Dianne Bady founded the Ohio Valley Environmental Coalition (OVEC) in 1987. We all owe her a debt of gratitude for the many years she spent on the battlefield fighting the pulp mill, mountaintop removal, fracking and so many of the other ills that poison the air and water in West Virginia. I first meet her when I returned to Charleston, WV, in 1998. I learned about the crime of mountaintop removal during an OVEC rally at the Capitol. I’ve had the privilege of being alongside Dianne for many of the MTR actions. One of the most memorable for me happened after the coal company destroyed Stover Cemetery by bulldozing some of the graves and rolling the remains into a highwall. The company blatantly flaunted all the state laws to deny Larry Gibson access to his family graves and he was left to witness it’s destruction from afar. During our meeting with State Historic Preservation Office employees Dianne immediately realized what had to be done to stop destruction of family cemeteries and we were able to save some of the ones that were still at risk. Dianne must be partying today with MTR warriors who have left us, like Laura Forman, Larry Gibson, Judy Bonds and Winnie Fox. Goodbye my warrior friend. Dianne touched many lives along her life’s journey. She and OVEC gave a platform for individuals to speak out about the injustices happening in their communities. She taught us how, and the importance of organizing in our communities. She gave us the will to continue fighting against abuses from powerful corporations. It was because of Dianne’s dedication, that I was given the opportunity to meet so many great people, and travel much of the U.S., and deliver her message of making all America, a better place for all. At the end of the day, you could see that Dianne gave all she had,each and everyday of her life. And while in the presence of Dianne, you knew you were in the midst of a truly unique and amazing individual. Her legacy is immortal, and will remain forever. It is a saying that, “the things that one does for themselves, leaves with them when they leave this world, but the things that one does for others, will remain, and are immortal.” I think this describes the life of our dear friend, Dianne Bady. We will miss her, but she will be with us forever. Dianne fought for social and environmental justice in her community, the Ohio Valley and all of Appalachia. Her work amplified the voices of those who industries tried to ignore. And she did this with dignity, compassion, and passion. You are sorely missed. Dianne was one of the few people I know that cared enough to make the trips to Mingo County to support our group of OVEC members and our efforts to stop MTR an was supportive in community development. Dianne was one of the first to be in Mingo. She was one of the first to visit us at our new house, she was there when you needed her. I loved the conversations we have had – I loved spending time with Dianne. It is heart breaking to know she is gone. It is heartwarming to know Dianna’s influence will live on & one through OVEC and in her friends that have grow courageous, outspoken, and strong. All WV should be in mourning right now. When you learn of her legacy, all WV would be celebrating. Dianne, we love you and will never forget you. West Virginia has experienced a great loss. Dianne was a warrior and a role model. She worked tirelessly all her life to help others. She reached out to me when I got my cancer diagnosis and sent me letters of support and information that might help me. She was an angel of mercy in so many ways. May we all take her example and run with it. Light on your journey, Dianne. See you on the other side. My condolescens to Rick, Aaron and the whole family for such a great loss. Dianna’s kindness and strength will stay with us. We from Marshall Physics Department where Rick used to work will never forget her. Our sincere sympathy. In the past year, Dianne was Paul Revere, tirelessly riding through every Middlesex village and farm yelling “The pipelines are coming! The storage hub is coming!” Sometimes she could be a bit depressing with so much bad news–but when the British are coming, you NEED Paul Revere, and the long article she wrote about the planned infrastructure development that would turn our Ohio River Valley into a second Cancer Alley, so full of information, is an important legacy. And despite these warnings–when I think of Dianne, I think of her smile, and the twinkle in her eye. Dianne was one of the first persons to inspire and encourage me to engage Appalachian environmental issues through my Christian faith. We will miss her brilliant, creative mind and dedicated spirit, yet she prepared many to take up her mantle and press forward. God has blessed us with Dianne. Dianne was a gift in my spiritual journey. I was privileged to be Dianne’s pastor for a number of years and participated in a spiritual support group with her and Janet Keating. I admired her courage and dedication to deep listening that fed her river of passion for social justice. I admired her love for her family and her advocacy for those marginalized by greed and power. Dianne was a deep blessing in my life. What’s Up With Ohio River Pollution Control Standards?